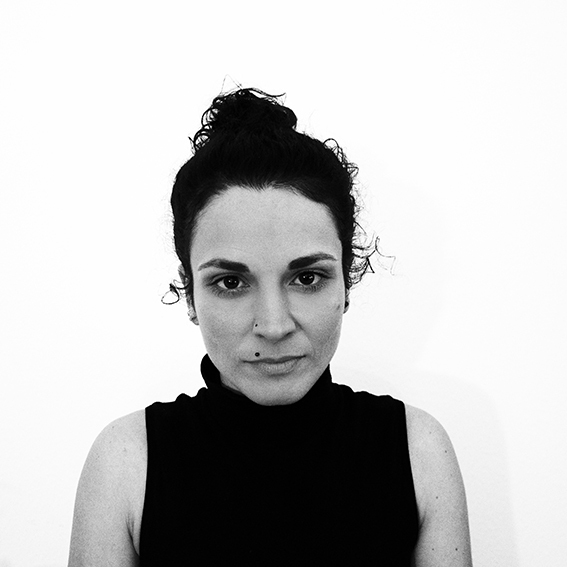 Fara Peluso is a Berlin based artist designer. She studied as graphic designer and is graduated in industrial design. The work of the great graphics pioneers and of the great abstractionists has inspired her from the beginning. The visual experimentation has been always present in her works, using elements of basic design and studying their powerfull synesthetic capacities. Her production range from basic design to experimental editorial graphic, from illustration to 3D graphic and video animation, from bio-art to installations design. Working with geometric decomposition and new morphologies, her work reveals the existence of an hidden, secret geometry. Through the speculative research she plays how to connect the human being with nature, living organisms and biological processes in a deeper relationship. Constantly researching and taking inspiration from elements present in Nature she believes that it’s a great Strategy for Design thanks its geometrical structures and its natural events. The relationship between the human being and its environment is observed and the concept that we are the most important living organisms on earth is cancelled. Fara Peluso takes part to the raising of critical questions considering a role belonging to artists and designers, she asks how the design of new tools with a speculative methodology can be applied in this way. Fictional artefacts that tell the story of a possible future scenario about the quality our lifes, attitudes and choices. Accessories which symbolize the new methodologies emerging in the field of art and science. Sharing and melting of knowledge and tools that are put in place shows increasing potential. She collaborates and researches with professionists from different fields such as coders, biologists and musicians in order to realise her bio-art projects. The result is the possibility to create new hybrid artefacts avoiding to pursue just a mimicry of biological aspects but crossing the borders. She believes that this can be well represented by the aesthetic codes of speculative design which today proves to be an explorative learning tool with a great future projection ability. June 2018 // Lange Nacht der Wissenschaften 2018 im Futurium. DIYBio Faire. Futurium, Berlin, Ge. April 2018 // Algature Workshop. BioTech. Greenlab project for Kunsthochschule Weißensee Berlin. TopLab, Berlin, Ge. March 2018 // Algature Workshop. TopLab’s BioLab workshops programm. TopLab, Berlin, Ge. October 2017 // Lost in Transformation. Meramorphosis. Dutch Design Week 2017, Eindhoven, Nl. Jennuary 2017 // DIYBio Fair. Vorspiel Transmediale Art Laboratory, Berlin – Ge.